This product has been designed especially for Australian conditions. Jumbo Foam is safe for use on polished alloy for cars and Australian trucks. This super active foam for truck and car wash is guaranteed to leave no streaks and leaves a high gloss finish. The extra foam prevents drying of the product during washing. This product contains substances which inhibit corrosion by forming a protective layer on the bodywork and also create demagnetization of dirt. 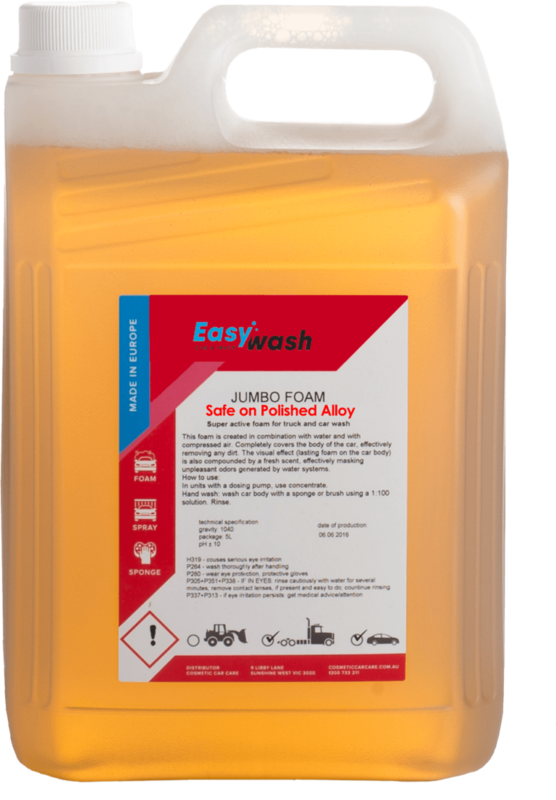 Jumbo Foam leaves a water-repellent and shining coachwork because of its special composition of 9 different components.